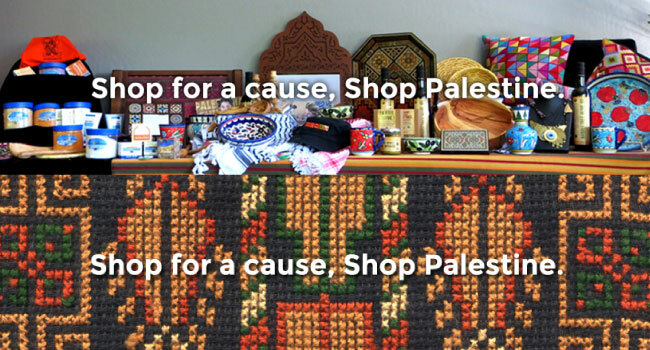 From candles and clothing to artwork and olive oil, here is your holiday gifting guide that supports Palestinian human rights. For background, read why JVP Supports the Boycott, Divestment and Sanctions movement. To get more involved in Jewish Voice for Peace’s work for justice and equality, become a member here. 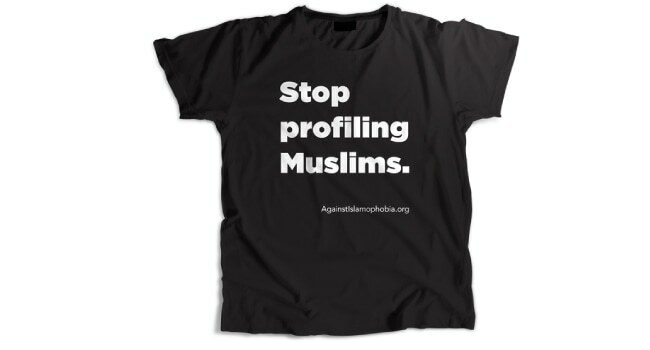 JVP has released a limited supply of “Stop Profiling Muslims” hoodies for the winter in addition to several other shirts that make great gifts for JVP members and non-members alike. If you are interested in buttons, cards, posters, stickers, onesies and tote bags, we’ve got those on sale here. A Jewish ritual candle-making project in support of the full Palestinian call for Boycott, Divestment and Sanctions of Israel. A Portion of Profits of Narrow Bridge Candles go to the Stop the Jewish National Fund (JNF) Campaign and the Standing Rock Medic+Healer Council. 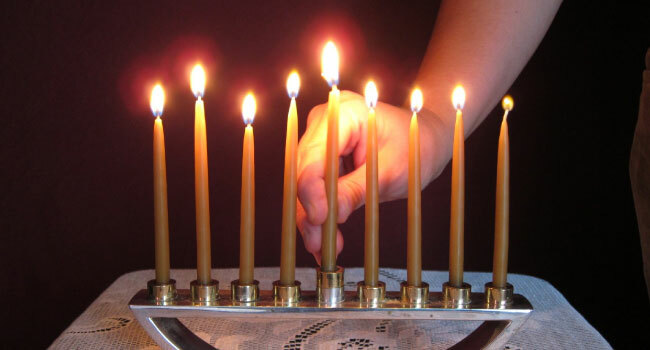 Note: Place your holiday order by December 9th, 2016 to ensure availability of Hanukkah Candles. out their “Find Canaan Locally” tool at the bottom of the page to see if any retailers in your area are selling Canaan Fair Trade products. A great gift idea. 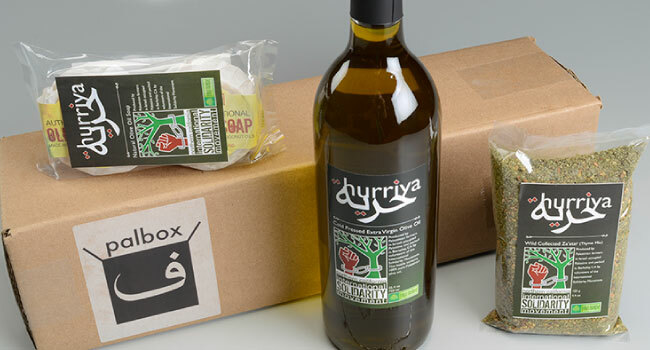 Support the Palestinian economy and Palestinian non-violent resistance with Palbox! Organic, fair trade Palestinian edibles, cultural items and Arabic calligraphy jewelry are delivered to your door quarterly. Artwork by a Palestinian-American from Chicago. 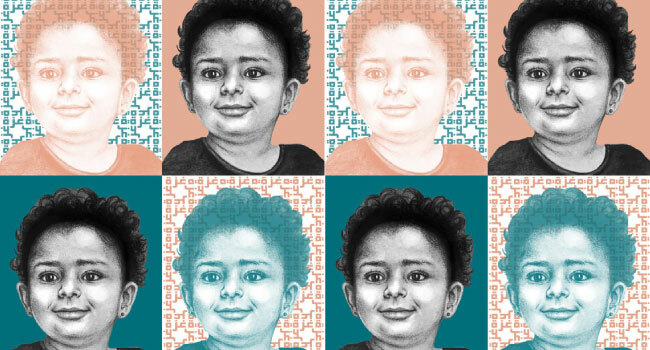 She draws portraits of refugees, and digitally overlays the names of the towns these refugees live in and colors that are reminiscent of that particular part of Palestine. 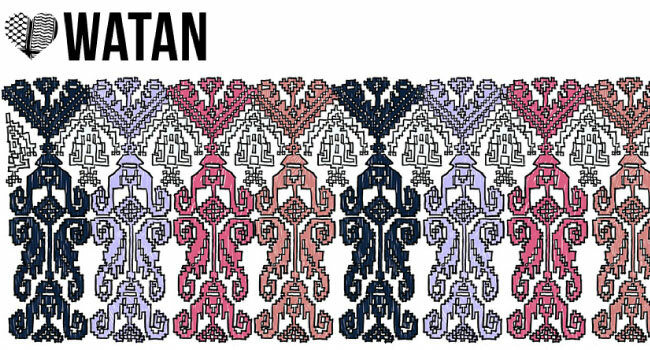 Thus the name, Alwan Al-Shatat (in English, Colors of Diaspora). 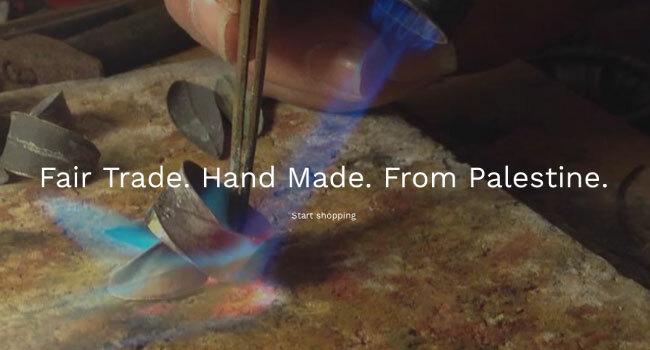 A creative platform and Etsy storefront of a Palestinian-American student based in Chicago. The shop has lots of great jewelry, accessories, and more. An annual print magazine intended to host reports about anything and everything that has to do with Palestine in the United States. 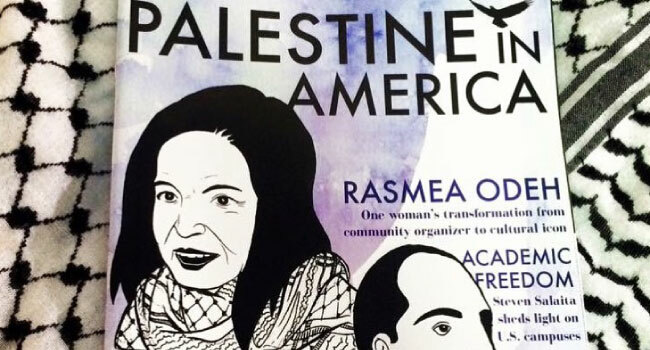 PiA is run by Palestinian-Americans. 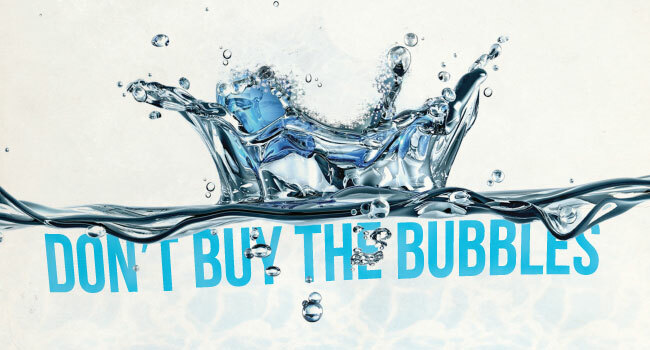 A list of alternative products to SodaStream. Carbonate your beverages from home without contributing your dollars to Israeli occupation. 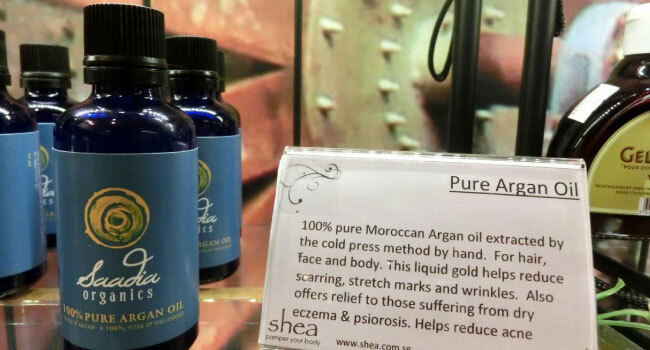 A great place to buy Argan Oil: Saadia Organics, a family-run business based in Vancouver, Canada. This is a great alternative to the popular brand, “MoroccanOil”, which is actually an Israeli company. Skip the Ahava and Estee Lauder products (which include MAC, Bobbi Brown, and Clinique!) 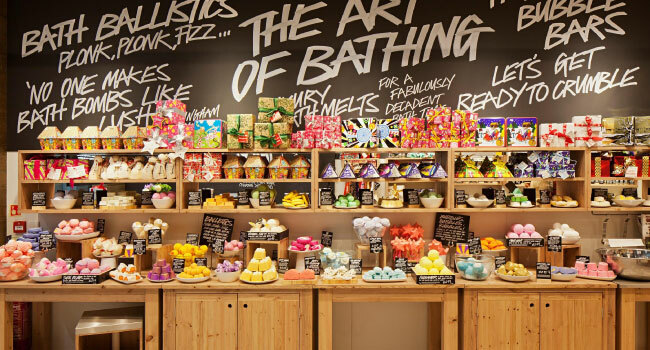 and go for some of the wonderful beauty products sold by LUSH Cosmetics, instead. 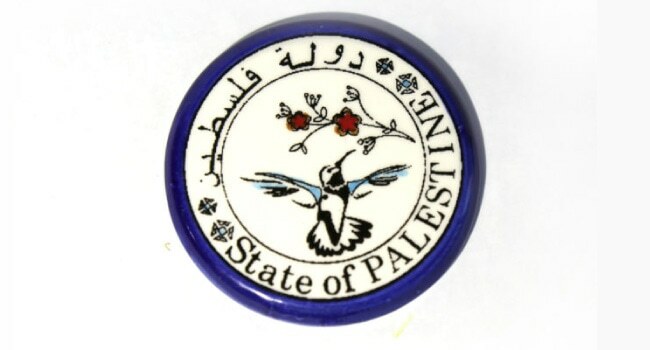 The Middle East Children’s Alliance has an online shop with all sorts of goods from Palestine. An online shop where you can buy Palestinian-made artisanal crafts while supporting the Palestinian green initiative Mashjar Juthour. Resistance Art serves as a gateway for promoting Palestinian Art and cultural items. 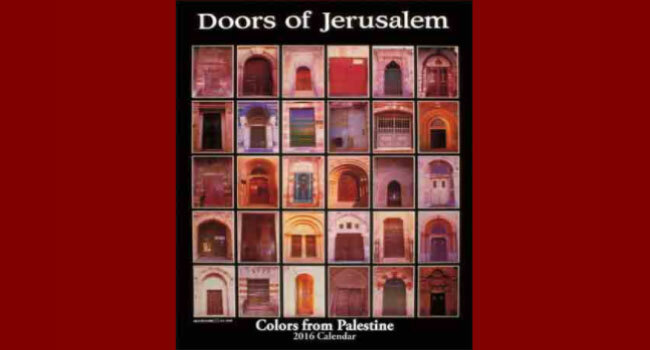 They sell calendars, books, greeting cards, and posters. 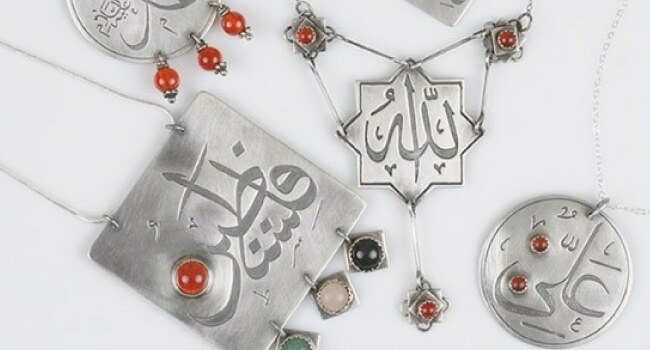 Great Arabic Calligraphy Jewelry by Katie Miranda. Each month she donates a portion of her proceeds to a different non-profit that supports justice for Palestinians. 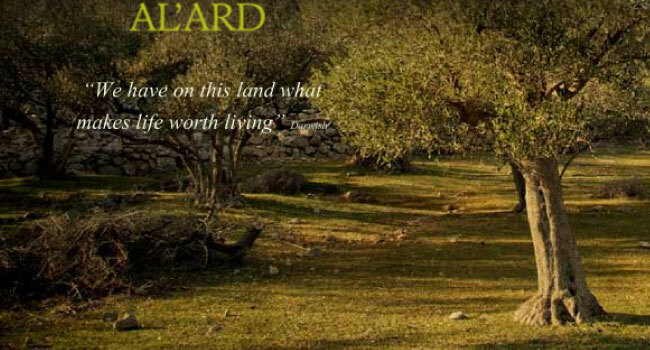 Palestinian agri-products from Al’Ard, a company whose primary objective is the welfare of the producing communities. 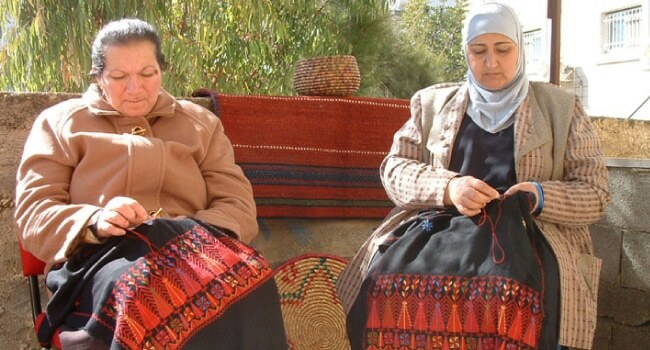 Beautiful, unique, and quality products that represent the traditional Palestinian arts while ensuring the artisans a fair price. An inclusive design label that develops, presents, and distributes contemporary useful products from Palestine. The goods are created in Palestine by contemporary designers, artists and students in collaboration with local producers and artisans. Support Palestinian farmers and families by purchasing fairly-traded olive oil from small farmer cooperatives in the West Bank. 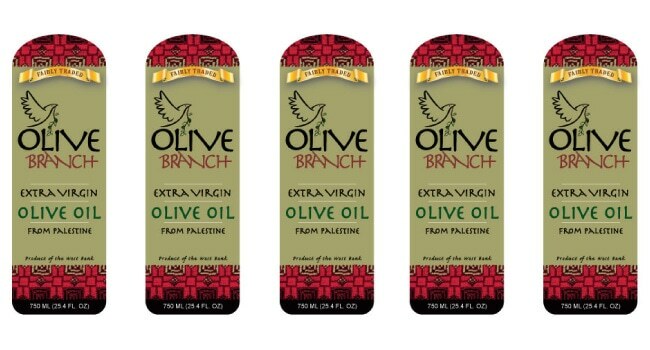 Olive Branch Olive Oil comes to Brooklyn for Peace from the Palestinian Agricultural Relief Committees (PARC) a non-profit non-governmental organization in the West Bank. 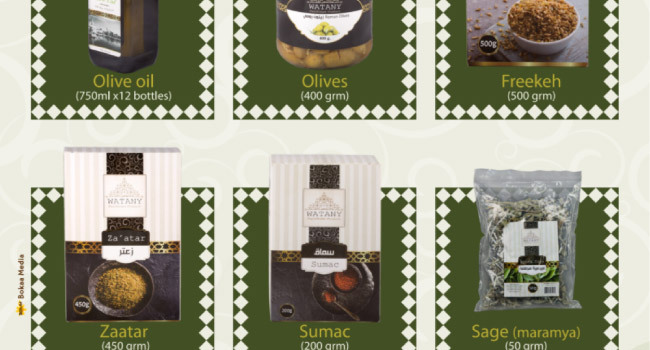 WATANY a Canadian company owned by a son of a Palestinian farmer imports Olive oil, Olives, Zataar, Sumac, Freekah, and Sage from farmers in the West Bank. 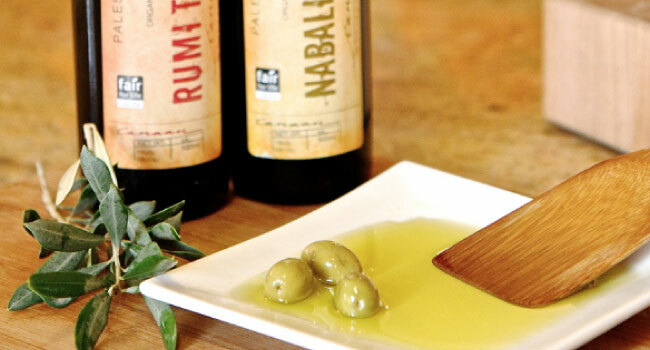 The olive oil and olives are from trees that are are several hundred years old. You can order by phone anywhere in north america 613 854 7777, or by email wattany@yahoo.com.